Now Shaw wants to know how she can get a refund from the unwilling Airbnb host. If you’re currently in summer vacation planning mode, you’ll want to read about Shaw’s horrible vacation rental experience. Her tale serves as a reminder that not all listings are as they seem. So it’s critical to be aware of how to protect yourself and your finances should you arrive at a vacation rental that you absolutely hate. Shaw and her husband paid $2,491 to rent the Parisian apartment in question for one month. She would arrive several days before her husband to settle into the vacation rental. Early on the morning that their rental was to begin, Shaw landed at Charles de Gaulle International Airport. After collecting her luggage, she hailed a taxi and headed to the Airbnb rental. During the 45-minute ride, she looked forward to settling into the quaint apartment with a charming balcony. 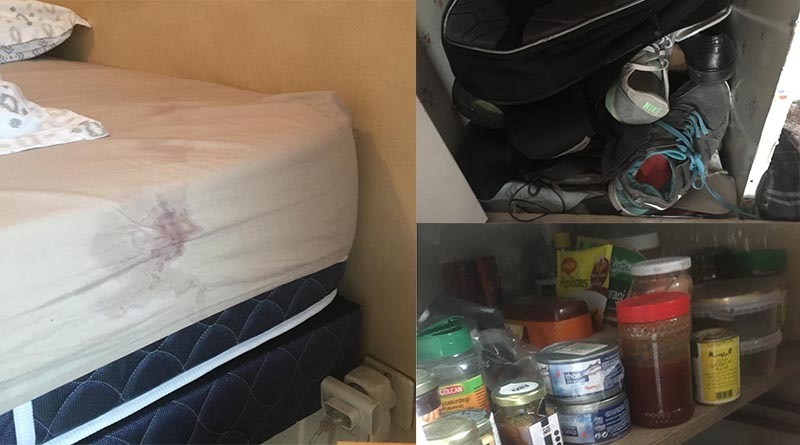 The photos on the Airbnb website showed a small, clean home where everything was in its place. And Shaw thought it seemed like the perfect location for the couple to enjoy the City of Lights. This is the lovely balcony that Shaw thought she was going to enjoy in Paris. It turns out that she could not have been more wrong. And she was about to be confronted with a shocking reality: The photos on the Airbnb site weren’t current. And the apartment was definitely not orderly or clean. Walking into the apartment for the first time, Shaw was speechless. She says that it looked as if no one had cleaned the place for a substantial period. After a long, overnight flight from the United States, this was the last thing Shaw wanted to be confronted with. She had been hoping to unpack her luggage, take a power nap and then head out to explore her new neighborhood. Unfortunately, now her day would be spent on another task: extricating herself from this horrible vacation rental. I am very disappointed and angry. The apartment is not as you advertised. It is dirty and smells of cigarette smoke. The kitchen is dirty and full of junk. The bed linens are stained. The couch is filthy. The closets are filled with trash — there is no place to hang my clothes. There is only one bed, not two as advertised. The list goes on and on. As day turned into night, Shaw did not hear from either the host or agent. She tried to make the best of it and spent one uncomfortable night in the dirty apartment. It would be her only night there. The next morning, a Sunday, Shaw sent another email to the host. This time she informed him that she would not be staying and she asked for a refund. She also contacted Airbnb and advised the representative of the same. Shaw then gathered her belongings and checked into a local hotel. Finally, more than a day after Shaw had first been confronted with the disgusting rental posing as a Parisian vacation getaway, the owner responded. In his email to Shaw, the owner expressed bewilderment as to why Shaw found the place objectionable. He said his maid had cleaned the apartment before arrival. But he pointed out that the rental is actually his home, so his belongings are there too. This is my apartment and some places are not for you to use as my personal effects are [there]. Maybe the places are not organized, but your living space must be clean. I added a brand new table and seats. The old ones have been badly used by former (website hidden by Airbnb). I decided to change them for you. [The maid] can come back and clean whatever you want. If you need more space, we can move some of my clothes to the cave. [This is] not an apartment made only for rental. There is a life in it. I’m sorry you did not like it. I’m not in France and cannot meet you. Shaw responded that she would not be coming back to the apartment. And she repeated her request for a refund. She then followed up by sending photos (and a video) of the unacceptable vacation rental to Airbnb. 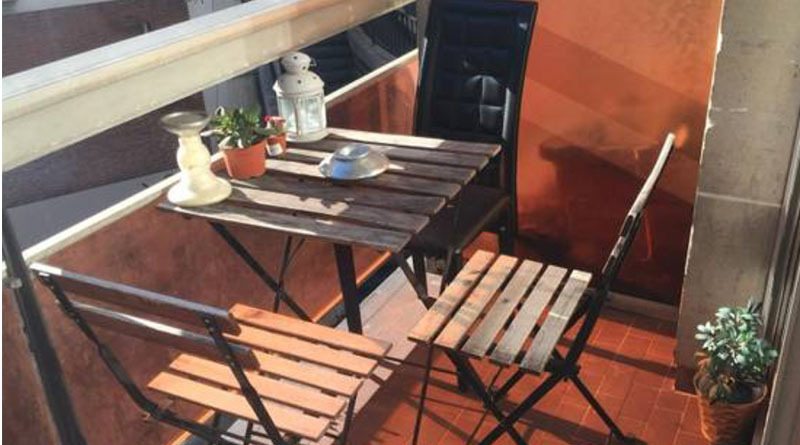 What does Airbnb think about this filthy vacation rental? A few days later she received yet another shock. After reviewing her photos, an Airbnb representative told her that he determined there was a only a “minor” problem with cleanliness at the apartment. As a result, Airbnb would allow the host to determine her refund eligibility. We reviewed the case as well as the documentation sent in accordance with the refund policy. This issue is primarily a minor cleanliness issue that could have been easily resolved by the host by cleaning up and replacing the sheets. By canceling the reservation, the host did not have the opportunity to solve the problem. Reasonable efforts were not made to attempt to remedy the circumstances of the travel problem with the host. Soon the owner sent a $1,000 refund which he determined was a fair resolution and Airbnb closed Shaw’s case. And she reopened it with the Elliott Advocacy team. When Shaw’s request for help landed on my desk, I had just finished writing an article about another consumer’s struggle with Airbnb. Laura Ward’s plea for help to Airbnb had similarly been met with a “case-closed” pronouncement. After Ward contacted our team, Airbnb reopened and reconsidered her dilemma. And after a 6-month battle, her case ended with an entirely positive resolution. Shaw had read Ward’s story and hoped that our team could do the same for her. Initially, when I read through Shaw’s paper trail, she had omitted the photos of this “horrible vacation rental.” And I noted that she had never used Airbnb before. So I wondered if her expectations had been set too high. Airbnb, unlike VRBO, allows shared rentals. The company began as a shared-property rental site. And many of the listings you see on Airbnb are still shared properties. You may only be getting a room in someone’s home — the owner may be staying with you, too. Or you might just see the remnants of the owner’s life during your stay. Many hosts simply vacate their homes when they can rent the property. What Shaw was describing sounded like she hadn’t expected to see any evidence of the host in her vacation rental. So I asked to see her photos. And those photos left no doubt in my mind that this host should refund any money Shaw paid him to stay in his dirty apartment. I sent a short summary of Shaw’s ongoing battle to our executive contact on the Airbnb resolution team. I included the worst of Shaw’s photos, which showed a filthy bed with stains, cabinets stuffed full of food and piles of old, dirty shoes. This vacation rental looked nothing like the cute Parisian apartment depicted in the Airbnb listing. And within a few hours, Shaw received the good news. Still in Paris, she checked her email and Airbnb alerted her of a full refund. The executive team agreed that this property wasn’t inhabitable in its current state. Airbnb has specific requirements that you must follow to be eligible for a refund should you hate your vacation rental so much that you want to leave. Remember your rental is a binding contract, so you can’t unilaterally decide that the property is unacceptable. Here are the steps you must take if you want to receive a refund. The first step is to contact the host to report the problem and ask for help. You must also contact Airbnb within 24 hours of identifying a problem. Stay off the phone. Make your complaint through the Airbnb Resolution Center in your Airbnb account. This creates a perfect paper trail to document your efforts. Make sure to document the evidence of the problem via photos and/or video. This is a critical step. Visual evidence is much more compelling than just your narrative, which can often simply turn into a he said/she said situation. If your host is unresponsive or unable to correct the problem, allow the Airbnb resolution team to assist you in finding an alternative accommodation. Your payment can be applied to the new rental. And in many cases, we’ve seen Airbnb cover any difference in rental costs for the new property IF you’ve followed the steps to a resolution as outlined on the Airbnb site. Posted in Commentary Tagged HERE IS HOW TO GET AN AIRBNB REFUND, HERE IS HOW TO USE THE AIRBNB RESOLUTION CENTER AND GET A REFUND, HERE'S HOW TO GET A REFUND WHEN YOU HATE YOUR VACATION RENTAL, HERE'S WHAT TO DO IF YOU FIND YOURSELF IN A HORRIBLE VACATION RENTAL, HOW TO GET A REFUND IF YOUR VACATION RENTAL ISN'T AS DESCRIBED, I HATE THIS VACATION RENTAL. HELP!, WILL AIRBNB GIVE A REFUND IF I HATE MY VACATION RENTAL?